IT starts with family photos: a new baby, a holiday away, a cute shot of a first smile. Social networking sites such as Facebook have long been a tool for new mothers to keep connected with their world while they slave away with a newborn. But now that's translating to cash. New mothers are finding themselves with a host of social networking skills that are making them attractive employees as they re-enter the workforce. They are finding what starts as a hobby becomes a ticket to a new job. Jayne Lawlor took her social networking skills to the next level, starting a business from home using Facebook as her main source of advertising. After the birth of five-year-old Josh, Jayne said she wanted to find a job that had flexible hours. Two-and-a-half years ago, she started Fun and Funky Sand Art - a creative sand art bottle activity for kids' parties, after-school care, fetes and fundraisers. The Facebook page is only a year old and already she has more than 4000 "likes". "It's such a great network tool because it really enables you to network with other local businesses," Jayne said. "Being a work-at-home mum with a very small budget for advertising, Facebook for me is a free utility. "The only thing it's costing me is my time." 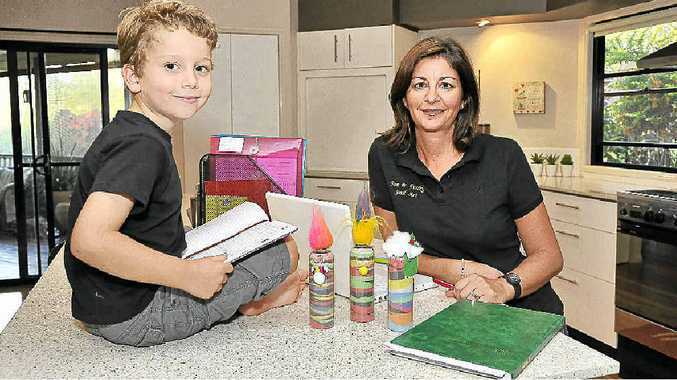 The Nambour mum said there was no doubt social networking skills were terrific tools for mothers to have when looking for a new job. Digital media expert Lisa Harrison, of Sunshine Coast-based POMO Creative, said many mums did not realise their blogging, tweeting and posting talents could potentially be monetised. "What mums returning to the workplace may not realise is how marketable they truly are, thanks to their social media skills," Ms Harrison said. "Real-life experience with digital media is, without a doubt, in demand in today's employment landscape." Ms Harrison is running a new course targeted at mums: the Secrets to Social Media Mastery Certificate IV in Business. The 10-course series is designed for those who have mastered social media basics and are ready for advanced learning. See more about Jayne's business at facebook.com/funandfunkysandart.